Looking good Gothover. 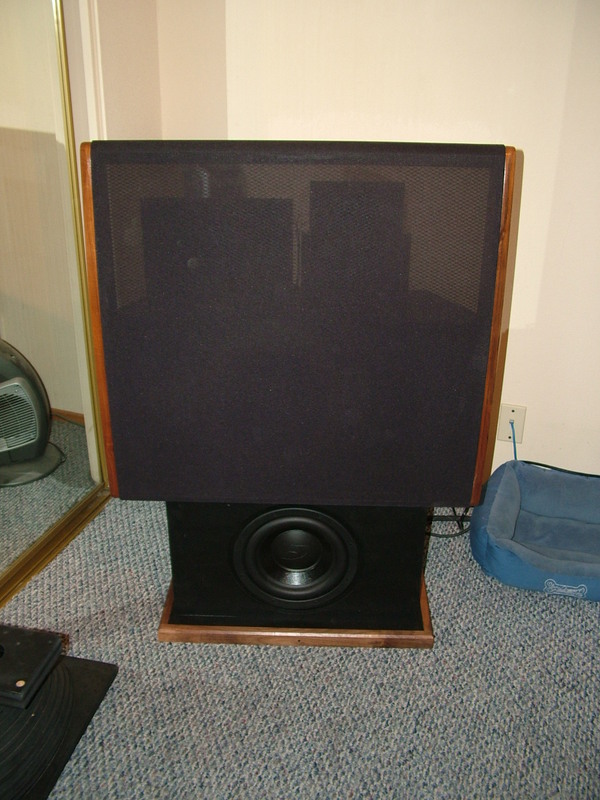 I placed my pair on top of a pair of Dahlquist DQ-1W subwoofers for years. Also, replaced the top 2 tweeters with an infininty ribbon. Fun inefficient speakers! 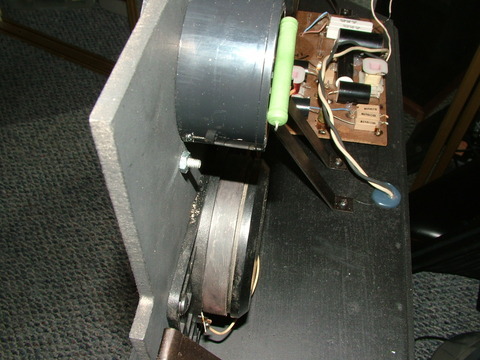 I use to peg the meters on my Audio Research D79 amplifier on occasion. 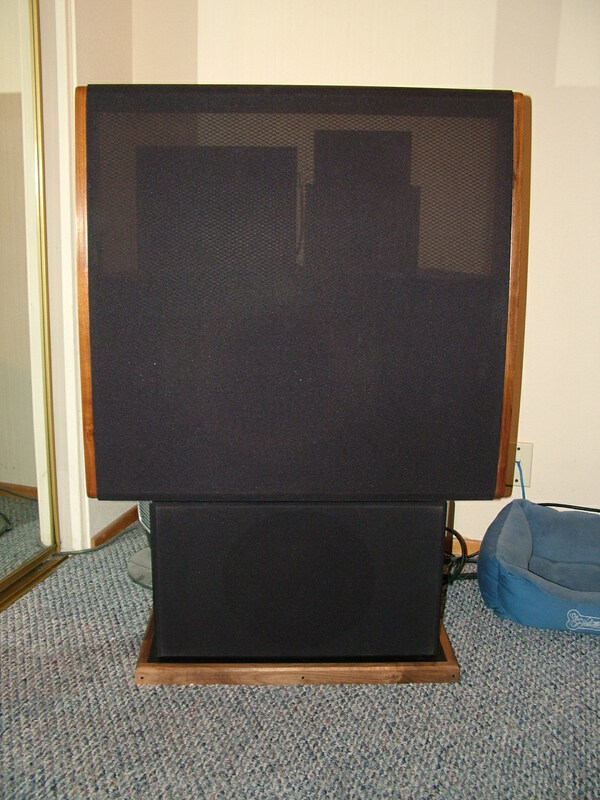 The thing I felt about the DQ-10s was that at low volume they sounded great. At high volume they really danced. I know what you mean, I am still deciding what tweeter I want to use. Spent a bit more time with the DQ-10 this week. I picked up some walnut trim from the local Rockler for the bases. Next the grills to finish off the ensemble. DQ-10 update, this weekend I built all new HF motorboards and re-timed the tweeter using digital measurement. Turns out the tweeter timing was almost perfect with the tweeter front mounted in a one piece motor board. I think they sound like fingernails going across the chalkboard. After I rebuilt my crossovers, I found the same thing, turns out the old inductors have much higher resistance that effects the crossover signifigantly. The .8 mH I pulled out had an ESR od 2.4 ohms, the repalcement was .3ohms, the .2mH had a ESR of 1.2 ohms, the replacement has .2 ohms. Once I added series resistance to simulate the resistance through the coil the harshness seemed to be eliminated, I am going to run a few tests to verify. I see this thread has been quiet for nearly 8 years, now; time for a resurrection! I own a pair of DQ-10’s, purchased them new in 1980 and I’m still enjoying them. I had Regnar rebuild them about ten years ago and am driving them with a Bryston 4b3, Ayre Kx5-twenty, my rebuilt Sansui tu-9900 and a Schiit Gungnir dac. I added in a Totem lightning sub with a new Bash amp; they sound amazing, go holographic even at low volume and when driven digitally, the bass is especially wonderful. The tweeter can be a little harsh, however and I’ve read about replacements. The Scanspeak, D2010 is still available, as are other tweeters. I’m writing now to ask if this is a worthwhile upgrade? Regnar did such a fantastic job that the original tweeters still look like new. And, as the crossover has been rebuilt by them, I don’t want to tweak it - I understand that by adding a resistor to the scanspeak, it will integrate as a 4 ohm driver. How effective is this upgrade and is it worthwhile? Are there any drawbacks? I’m hoping there are still people interested in this topic and that there are a few that might be a voice of experience. Any and all information appreciated! There is an active Dahlquist group over at Yahoo that has a world of info. I am attaching an essayThe DQ10 Reconsidered 2010.pdfThe DQ10 Reconsidered 2010.pdf I wrote about my DQ-10s, which were destroyed in October by hurricane Michael. I'm not going back to DQ-10s, although I miss them very much. (I saved the mid bass drivers) . 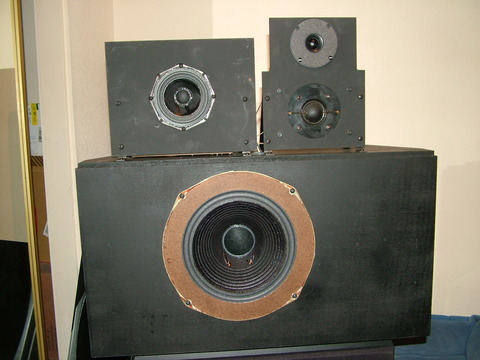 Instead I am going with Heil Air Motion Transformers (AMTs) and some 12 inch woofers I have on hand. My study needs to be rebuilt so it will be some months before all that comes to pass. You can PM if you like to discuss Dahlquist stuff. My main set uses Cornwall IIs, which were unharmed. He thinks they sound fantastic. I think they sound like fingernails going across the chalkboard. Hence the reason personal observations regarding the sound "quality" of just about anything are of no value. 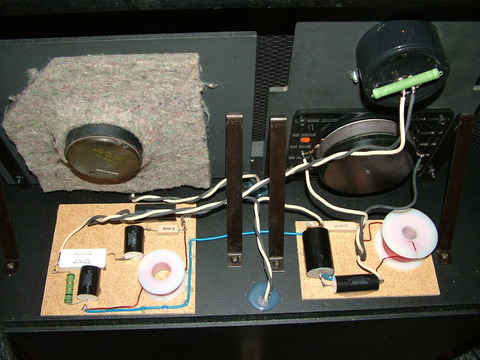 Also, I had installed one JVC "ribbon" tweeter in one of the DQ-10s with its own crossover at 12 KHz and disabled the piezo on that channel. I learned two things: My own hearing ends above 13 KHz and the difference between the ribbon and the piezo was surprisingly small, perhaps because of my age-limited hearing bandwidth. I did notice better reproduction of anything with sharp transients, like cymbals, small bells and gamelins.